This thread is for all things New Zealand cricket. It is not limited to New Zealand fans, but New Zealand team selection and discussion should be in this thread. There are two current issues with the current NZ test team that need debate (in addition to the never ending BMac captaincy and batting approach debate). Martin Guptill - is he a walking wicket stealing a place from Dean Brownlie and Jeet Ravaal? I personally wanted Guptill's recall but wanted him to pat more aggressively in test cricket in a more Warner or Sehwag type manner than that of Geoff Boycott. He has not done so. He faces balls, does not get runs and gets out. He is neither Sehwag or Boycott. Brownlie has issue with high quality spin on wickets with turn. So he moved to an opener to knock the seamers around which he has very very well so far. Jeet Raval is continually overlooked from discussion, but some experts think that he was in the running with Guptill for an openers berth which Guptill secured. He makes runs at domestic and NZ A level. Rutherford keeps going on tours as a reserve opener, but people appear to have lost faith in him. The debate, how many more turns is Guppie given? And in what order are the replacements given a chance to bat with Latham? Mitchell Santner could be the end of Mark Craig (as well as Neesham and Anderson). That leaves a question for team balance as to who bats at 8, if not Santner himself. If four seamers were to be given a go, should Milne play as part of a seam attack of four with Bracewell/Wagner with Southee and Boult? Milne has shown promise with the bat. Should Craig be persisted with when his first innings performances with the ball are so awful with his high economy rate and lack of wickets until the fourth innings. Craig's performances with the bat were a previous highlight, but occuring less often of late. I think the batting should be strengthened, but that does not appear to Hesson's ethos of playing a surplus (5) bowler. I think if surplus bowlers are going to be played, they should have point of difference. I am keen on cotton wooling Milne and keeping him for limited overs cricket, but if a 4 prong attack with Santner was to play - I think Milne could play with Wagner Boult and Southee with a light workload- I just fear for the tail. NZ Cricket believe that Doug Bracewell has the makings of an all rounder, so he will be continued with. Bracewell appears to play straight with the bat until Boult and Southee are with him, where he loses his head. Wagner can bowl more than his share of overs well, so can carry Southee, Boult and Milne's workload where needed. BRacewell can not do this, but bowled a good length in Australia. I think Wagner should never have been dropped for Bracewell, but understand the value of an allrounder should Bracewell be able to develop his batting and bowling (and hopefully improve his ER and get the ball swinging). Last edited by Paddles on Thu Dec 03, 2015 4:40 am, edited 1 time in total. I want the team to put that behind them and move on to thinking about how to win the return series. 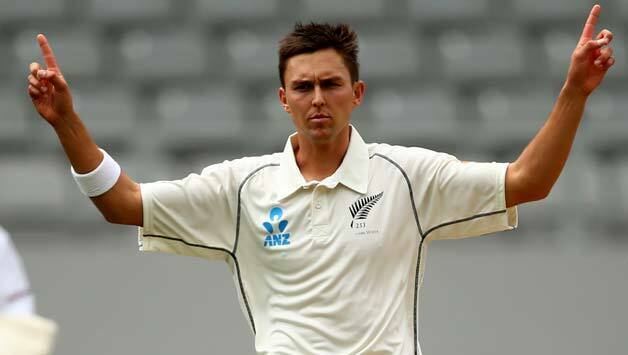 Try getting the ball out of Boult's hands with that cloud cover with the lights on for day night tests. as LOTR is shot there, he is like the gollum with a cricket ball, imagine him saying "My precious" "My precious" when Boult comes on to bowl. Going South wrote: as LOTR is shot there, he is like the gollum with a cricket ball, imagine him saying "My precious" "My precious" when Boult comes on to bowl. My opinion on NZ openers is that Guptill and Brownlie are both utter dogshit in tests. I've never seen Raval bat, but he can't be any worse than those two idiots or Rutherford. I mean, sure, at least they aren't Peter Fulton, but still. I don't think one test puts Santner ahead of Neesham or Anderson. If you're just going by numbers, Neesham had a much better debut. I think the best long term solution is to play Watling at 6. Then you have three quicks plus either Neesham or Anderson at 7, and have Santner as the sole spinner at 8. It's not like NZ are going to get any value from their other spin options. I have very little respect for Wagner. He bowls super slow and has no penetration when the surface isn't helpful. His only redeeming quality is that he can bowl forever, but if you have five bowlers as per Hesson then you need the donkey bowler much less. In my opinion either Henry or Bracewell is the better long term choice. The other thing is that BMac probably wants to look at retiring. He looked really out of sorts in Australia, and it's not like you could blame the pitches. Plus his captaincy was awful. GiantScrub wrote: My opinion on NZ openers is that Guptill and Brownlie are both utter dogshit in tests. I've never seen Raval bat, but he can't be any worse than those two idiots or Rutherford. I mean, sure, at least they aren't Peter Fulton, but still. Brownlie averages 65 against Australia and has a ton against Steyn, Morkel and Philander. His problems are with spin and he has not been given a go in tests opening yet, so "dogshit" may be a tad harsh on the guy. He has runs domestically since moving to opener and is being talked about replacing Guptill. Yet Raval, inexplicably to me, is not in the conversation. I am intrigued as to why. Watling batting at 7 and not 6 is about not over working the wicket keeper and having him fresh when he walks out to bat for a long time. It is safe to say that it is widely acknowledged to be a much better batsman than those batting at 6. That said, I think he may move up the order one spot in time due to his slow scoring rate with the tail. I am amazed at your Wagner comments. Not only does he toil all day, his test record was very good in 2014 before being dropped after one poor test. His test record is better than Bracewell or Henry, but they have kept him out of the team. Henry has shown nothing since playing test cricket. Just short of a length, low pace, pies. No seam, no pronounced shape, no headaches for batsmen. Anderson is a dread awful test bowler. Neesham is not much better than Anderson. Santner has not shown he can be a "top 4" bowler yet in FC, let alone test. He is a 5th bowling option at best. Your suggested attack is horrible in my opinion. Just leaves everything on Boult and Southee. Wagner could give them good support, Milne something different, and Bracewell hopefully continues to improve his batting and bowling. Henry has played himself out of discussion for the test team for the mean while. Rumour in sports media is BMac retires tests at the end of the home season. Dexter character? what are you talking about? It's a TV show from the US. Hang on I'll try to get an image. That's a psycho killer look. I know. It's your birthday time to be happy but you cannot escape from morons. Just ignore him for a day. Ps: there is a talk of revival for new series for Dexter but later they said it's just speculation. There sure is massive interest in Dexter worldwide they could easily cash in with a new season. I should ignore him on my birthday I know, just about to go out but come online quickly. I fear that he is sorely missed by the New Zealand bowlers right now. Must be a way he can be used on a part time consultant manner without ruining his Mumbai Indians contract. Possible wonderboy Sean Hicks had his first good game. Just look at Jesse's bowling stats there. 2/16 off 6 overs where the chase is 360 where he made an early 58 off 42 to help set up the innings. Ryder Ryder Ryder Ryder Ryder. Is New Zealand the only test nation that has no domestic 50 over cricket on tv, pay tv or free to air? Surely Ryder has burned too many bridges to be considered for selection. You have to get to KP levels before you get refused selection. To be fair to Ryder, he averaged over 50 in every season until the middle of 2011 when he fell apart as personal life came to the fore, so it' s not like he's one of these people who is out of the team but "actually wasn't that good anyway". He had an easy Test start against Bangladesh (one fifty in four innings avg 56) and though he couldn't get anything in Australia (no easy feat, avg 17) he had fun at home to the West Indies (3 fifties in two Tests) and India (2 hundreds in three Tests including a double). He got a mid-30s avg in Sri Lanka and a good tour of India with a hundred and 2 fifties before it all fell apart at home to Pakistan (avg 9) and then on part of a tour to Australia (avg 14). His tour of India is the highlight I think. It's not easy to average over 54 in India over three Tests. No not-outs either. He averaged 65 against India when playing at home in NZ but that's no great feat as India bowl crap overseas. This is totally inaccurate on two grounds. 1: He is the most talented NZ batsman after KW. Ryder is more technically correct and talented than Ross Taylor. At the very least, they're equal in talent. But most experts would suspect Ryder as being better. Ryder never got the 'time' in the test team to work through 'growing pains' that almost all batsmen go through. If he had been a regular in the side, post 30 years of age batsman cash in, he would likely have been averaging 45-51. 2: NZ has BMac in the test side. And Guptill. And Anderson. And Neesham. And Santner. Ryder is more test standard than them as either a batsman or an all rounder. Ryder gets nibble. Opens bowling for Essex, lots of 5 wicket bags now. Last edited by Paddles on Thu Jan 07, 2016 3:21 pm, edited 1 time in total. Gotta say I'm with paddles on this one. I'm just happy Munro got a shot at 3 today. Even cheekily suggested he would like to try the powerplay opening overs. Which would make perfect sense. And today Munro got 50 off 14 balls. Will have his critics smelling a waft of humble pie. And Munro got runs again today. A bright shining light in an otherwise insipid batting display. Paddles, you did not opine on the Indian bomb attack on aussies the past two ODIs.. is it that you are too NZ concentrated? Come on.. there is a bigger (cricketing) world out there (which somehow includes harry potter and prof. snapple or snape or someone like that).. You gotta step in there too.. I google the word "Mr Snake" and got some excellent websites. But for the last 1 hour i cannot move my mouse or hit keyboard. Nothing happens as if they were frozen. Striped Lungi wrote: Paddles, you did not opine on the Indian bomb attack on aussies the past two ODIs.. is it that you are too NZ concentrated? Come on.. there is a bigger (cricketing) world out there (which somehow includes harry potter and prof. snapple or snape or someone like that).. You gotta step in there too..
Australian cricket: Well I do like their new highlighter yellow uniforms, though. Very fluorescent. Yellow is my preferred highlighter colour. Digging their players starting to wear wide brim hats as well. 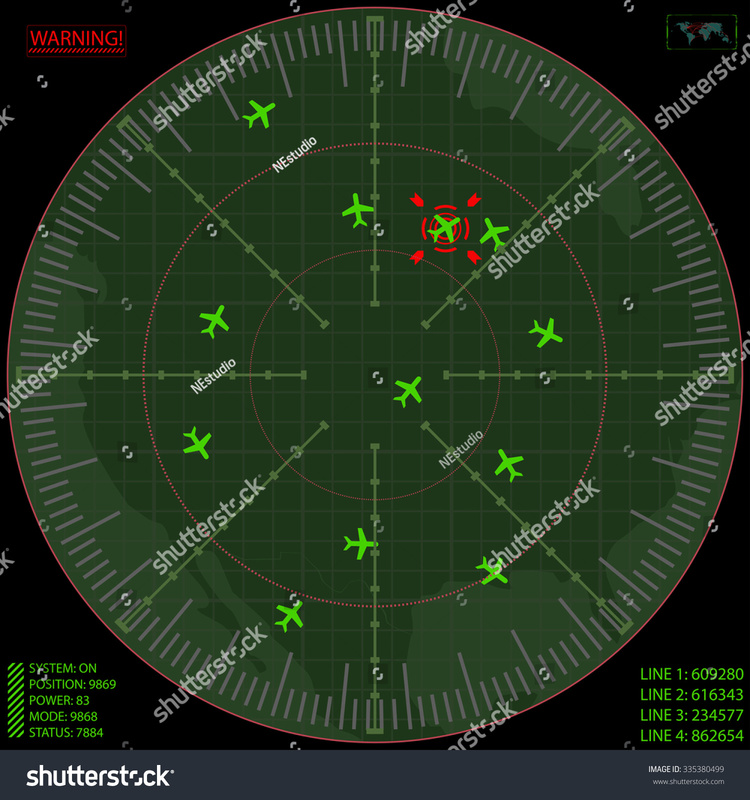 It means from a bird's eye view that you can look at the field placement like an air traffic control screen. Must be a right handed batsmen on strike, we know how Aussies feel about too many fielders on the field and behind square. Get the leg slip off the field now! I'd like to see Todd Astle get another go in tests. His FC average is really good as far as NZ spinners go and he can bat. Bracewell has been average since Hobart. They need Milne I think, someone with pace. Broobs wrote: I'd like to see Todd Astle get another go in tests. His FC average is really good as far as NZ spinners go and he can bat. I think Todd Astle may well get a chance in tests later in the year - there is a 3 test tour of India. A spinner, in addition to Santner, will tour and play. Hesson had Vettori, Sodhi and Craig in one game in the UAE. He likes horses for courses. Of greater concern, given Tastle is an allrounder, is how lost at sea he looked in the 1st T20 against Pakistan with the bat. Many feel between that (only bowled 3 overs game 1 where his first over was cheap, but the nest two expensive) and the second game where KW pulled him after 1 over, that his future international career looks extinct. Test cricket is a different beast to a SR demand game, and his domestic performances have been strong. So if he finishes the season well, he might have a chance. I was surprised that he was called into the T20 team, but they obviously preferred his batting to Ish's. His T20 bowling has not worked, and not many are that surprised as test cricket looked to be his future - it may not be the death knell for all international cricket. But the Pakistan batsman were mighty comfortable with him. And that may linger in the selector's minds. I think the best spinner batsman to play 6 or 8 with Santner in India makes sense if Tastle. Or the best spinner with Santner, Tim and Trent, (8,9,10,11) and then someone who bats more than they seam bowl (6). Be nice if Munro is knocking the door down for future elevation at that point in time. Be even better if Ryder is batting at 5. Milne has been invited to play T20 in Pakistan instead of FC cricket in NZ by Whab Riaz. If he accepts that, he may not plan on much of a test future. Milne, like Bracewell, has been improving his batting and that bodes well for a possible selection. Milne is a tough issue. Test cricket could wreck him with injuries. He could have a great and long career playing ODI and T20 - and perhaps make more money to boot. He has the pace to be a good test bowler, but he does not bowl Mitch Johnson intimidation line and length (but he has all the tools to do so with his good control and pace), and while he apparently swings the ball in the nets, has not done much of that in internationals. Getting nibble, if he can, with the ball carrying over the stumps as it does with his bowling on most pitches, is not going to get a lot of wickets. He would certainly give the attack a different look than Doug Bracewell can - who has been bowling an economical length without wickets. Wagner, has been bowling short stuff with good results, and can bowl all day - which is good if Tim and Trent get delicate. Then there is the recent Matt Henry love for getting easy wickets against Sri Lanka. I take those performances with a grain of salt. Sri Lanka looked out of sorts, completely. Matt Henry has been utterly disappointing in test cricket thus far, and I am not so sure that he deserves another shot ahead of Wagner and Bracewell just yet. I have a lot of time for Wagner as a third seamer, he is fit and toils hard. But Doug B has improved his batting, and Milne offers pace with better batting. I was never a Doug B fan before, but his batting is getting better - and I think bowling allrounders are undervalued. The tail can make valuable, match winning runs, and it makes a big difference. Also his bowling, he will sit it on a length all spell now. Never did that before. He does not leak runs - and if he could get some nibble or swing - he would be excellent. I am a big Adam Milne fan, and think he can succeed at test, but I wonder unless his body gets a lot stronger, whether he is best suited as a pyjama exponent. I would love for Tim and Trent to be supported by Milne being nasty with a Mitch Johnson intimidation in the test matches. But I have not seen him unleash on anyone yet. But he may learn to do so. It appears with BJ, Tim and Trent as 7, 10 and 11, that 6, 8 and 9 is a large point of discussion of Anderson, Neesham, Santner, Tastle, Craig, Wagner, Bracewell, Milne, Hira, Nethula, Sodhi - and hopefully some Munro and Ryder talk in the future (as I much prefer either to Anderson in tests at 6 right now). And the bad news is despite good form for Macewell, Brownlie, Ben Smith, and Ryder, the former rediscovering and the latter 3 continuing in a rich vein of form this summer, selector's favourite and fan's least liked, Rutherford has spanked a 126 in the Ford trophy. Mark Chapman, who has played for Hong Kong as an international, spanked a 150 against a fairly useful CD attack including Bracewell and Wheeler after comming in at 4/35. Maybe he is as good as the hype. He has stated his future lies with NZ and not Hong Kong, and while of course qualifying for NZ with a NZ born father, secondary school and university here in NZ, he is a current Hong Kong rep, so I do not know whether he will have a stand down period. Mark Chapman has stated that he does want to represent NZ. Tom Bruce - who I know nothing at all about other than he is 24 years of age - is starting to put up some consistent scores in his second season of FC domestic cricket. He is starting to get some pyjama runs, too. It appears that there is some depth slowly building in NZC domestically. If only some of the matches were broadcast. Mere highlights even. WIth the WCT20 around the corner, Ish being dropped for Tastle, who failed, Mr Devecich has found good form with the bat and the ball, which will have the selectors debating whether he should get a chance against Pakistan. Before anyone suggests that is too far from left field, the facts are, he has played 4 T20 matches, in Bangladesh, Sri Lanka and 2 in UAE v Pakistan, 12 overs 2 for 80 ER 6.66 Ave 40. So while he is not ideal, if the selectors want someone at 8 or 9 to be a spin option who can bat other than Santner and NMac (which allrounder Tastle replacing bowler Sodhi demonstrated that they do want), Devicich's batting must bring him into the discussion for the tour squad. While Devicich is no Hira, Nethula or Sodhi with the ball, domestically he is a far far superior batsman. If Tastle can be pulled after 1 over, and KW and Munro not forced to bowl at all as Grunter and Corey were firing, a punt on Devecich to replace Tastle is not the worst bet in the world as Anton is a vastly superior bat. It is too late to do this for the T20, but sneaking him into a 50 over game could be a worthwhile exercise. Of course, Sodhi being recalled for WCT20 is probably the shortest bet return option. Last edited by Paddles on Sat Jan 23, 2016 4:42 am, edited 1 time in total. 4 quicks are likely to goto WCT20. While TIm and Trent are NZ's best two bowlers, I suspect one of them could miss selection. Tim, Trent, Henry, Milne and McClenehan are the five being squeezed into four, of which 2 will play any game most likely (with 2 spinners, and Corey, Grunter, KW and Colin picking up slack). McClenehan - typically the worst bowler and fielder of the five, bowled with a plan, that he executed well, of changing his pace against Pakistan - and it worked to great effect. Not with slower balls as we know them, but by grunting like he was bowling fast, and actually bowling within himself - varying about 15 km/h. Personally, I've never seen him bowl so smart and dictate terms to the batsmen (until his last over, the 19th, where he was dispatched). But it was only one game and could be an abberation. Henry - having a great pyjama summer - next worst fielder before Mitch. Milne - 155km/h and the best batsman of the 5, second best field of the 5 - equal with Tim. Tim and Trent are cotton wooled so often, but Trent, a brilliant fieldsman, has not been firing in pjyama's. A few jammy strangle wickets from bad balls against Sri Lanka with some good economy in one game, he has been dispatched in everything else. The brain would typically say either lower ranked Henry or lower still Mitch are staying home - but it is possible that Tim (6 hitter at end of innings) or more likely Trent (worst bat of the 5 but best field) may be told to have a break after the Aussie test series, if Mitch continues in his new vein of play displayed in T20-2 Pakistan, 2016. Congrats to Larsen, Hesson and KW on the T20 series against Pakistan. Clever and well thought out selections and strategies successfully implemented, like Anderson opening the bowling and saving faster bowlers for middle overs, reasonably maximising opportunities to #3 Munro and #4 Anderson, the higher SR batsmen while KW and Guptil demonstrating that they are a world class opening partnership, not to be underestimated. This was made all the more impressive during clear trialing of players for WCT20. Boult still does not look threatening with the ball. It has me concerned. Ross Taylor's injury is serious enough to have him miss both the Pakistan and Australia ODI matches. A cruel blow for NZ to have a current ICC ODI World XI batsman not available for selection. It also means if he plays the tests against Australia, he will not have been in the field for three weeks. Munro gets elevated back into the ODI squad and Niccolls keeps his place in the team. If Niccolls plays the BBL final, I guess Manu gets a game on Monday. Not sure how NZC or Henry will handle the Niccholls Sydney Thunder situation. Personally, I immediately care less at present as I want to see Munro given further opportunities. Luke Ronchi misses games 2 and 3 against Pakistan. Ronchi has not made a big score since his 170* a year ago. BJ Watling gets a go to see if he can modify his good test game into the higher SR pyjama environment in games 2 and 3. Anderson and Elliot retake their places in the side. Batting order will be interesting with no Taylor, and that may impact on any decision to see Anderson and Munro continue to bat higher after their T20 success. I hope it is given a go - especially with Watling in the side. I would not be surprised nor critical if Munro and Anderson are again trialled bat higher than Niccholls and Elliot at #4 and #5 respectively. Ross Taylor is sorely missed but Watling can provide a new element - he may not be suited to Ronchi's slogger role, but may well play a batting long stop more successfully than Ronchi has managed of late, if the icing above him fails, more like JP Duminy for Safrica batting after Miller and Berhadein. Despite his abundant talent and great technical play, I remain critical of Tom Latham's strike rate. Hesson and Larsen are standing by him as the ODI opener to replace BMac, but to be fair to them, there is noone else tearing down the door to play in the side as an opener. Devecich, who is having a good home summer, has moved to the middle order domestically, and Raval is having a shocking 50 over summer. So unless KW trials opening in 50 overs (based on his T20 success there) and a new middle order batsmen brought in, Latham seems to have the inside running to display the talent he undeniably has, but hopefully to do so at a faster SR. But the future is not bleak for Pyjama openers, Glenn Phillips us having a wonderful U-19 WC tour and he is smashing Pakistan and Australia at a very good SR. This is combination with a List A century this season to boot. This tournament is starting to be a very useful measure of future international talent. Corey Anderson is still adding weight to my view that his bowling and high SR batting give the NZ pyjama teams fantastic balance. Brilliant pyjama allrounder. I do not rate him as a test #6 as against say Rydee, and his bowling has been awful in tests and I think may injure him, but in pyjamas he remains a world class match winner that is so critical in giving the NZ team balance in batting power and death bowling (now opening bowling) options. Jesse Ryder reminds Tom Latham that SR is very important. Hopefully Tom starts to understand this. Macewell will be hoping for an impressive match in the final to continue his last three good scores. Yes Astle hasn't shown much in limited overs, but I think he could be a great test player, at least until Sodhi comes of age. Broobs wrote: Yes Astle hasn't shown much in limited overs, but I think he could be a great test player, at least until Sodhi comes of age. How good was Elliot today? Sodhi may never come of age as a test player. But I think it is safe to say that Sodhi definitely has more to offer NZ in pyjama cricket. And a Brad Hogg or Imran Tahir, while not Shane Warne, is still a good thing for limited overs cricket. What is exciting, is that while Tastle, Sodhi and to a lesser extent Nethula are not Shane Warne, leg spinners are comming through the system, and they're not bad. Even if Tastle does not crack the test world, I think NZ will benefit long term from what Tastle, Sodhi, and to a lesser extent Nethula have so far achieved. But like you, I am hopeful that Todd Astle becomes the goods in test matches. Dennis Lillee is generally regarded as Australia’s greatest ever fast bowler. He would have become the first player in cricket history to take 400 wickets, but for World Series Cricket. How much did Australia rely on Lillee? Well Lillee bowled more overs per Test than Richard Hadlee – New Zealand’s only weapon – did. This quote contains a terrible logical flaw. If someone tells me how to donate CF$, I will donate $50 CF$ to the person who best explains why this is argument is illogical and invalid. I will give you a hint, I do not want to hear about Hadlee's good performance meaning more to NZ while he was bowling less overs per game. This is not about weighing of factors, I am looking for the fundamental deductive reasoning flaw. I want to know while it is true that Lillee bowled more overs per match, it in no way demonstrates Australia's reliance on him, as against New Zealand's on Hadlee. Because it is in fact absolutely clear and can be proven using the author's logic that New Zealand relied on Hadlee more so. All guesses and answers welcome. No possible suggestion can be worse than the author's reasoning. Except for comparing apples and oranges wrt mcgrath, tendulkar and lara, I don't see much of a flaw in the article.. I am not very clear in my head about the choices NZ and Aus had to accompany or to substitute hadley and lillie so may be I cannot spot it. To be honest, we did not have telly or for that matter decent audio coverage in those days so following any cricket other than India while in India was never a possibility for me. Or to put it in very easy way, I am about as knowledgeable about cricket then as I am about the mating habits of the Burmese turtle. Striped Lungi wrote: Except for comparing apples and oranges wrt mcgrath, tendulkar and lara, I don't see much of a flaw in the article.. I am not very clear in my head about the choices NZ and Aus had to accompany or to substitute hadley and lillie so may be I cannot spot it. To be honest, we did not have telly or for that matter decent audio coverage in those days so following any cricket other than India while in India was never a possibility for me. Let us assume Hadlee and Lillee is apples and apples. "I am not very clear in my head about the choices NZ and Aus had to accompany or to substitute hadley and lillie" - that is not a bad starting point. It is not where I would have started, but it is where I ended (with a conclusion on the matter). Now, what is the next step? Okay, so the author's argument is this. P1 Richard Hadlee bowled 21918 balls in 86 matches averaging to 256.86 balls per match. P2 Dennis Lillee bowled 18467 balls in 70 matches averaging to 263.81 balls per match. P3 Richard Hadlee was New Zealand's only weapon. Conclusion: Australia relied on Lillee greatly because he bowled more deliveries per game than Hadlee, NZ's only weapon. This is a peculiar syllogism because all the premises are true, and the logic is, at first blush, acceptable. Unless Lillee was a spin bowler (who can bowl all day), the reasoning makes sense, that a side would rely on their best seam bowler to bowl as many overs as possible (especially when DK avoided a tour to Pakistan and largely failing whenever he did play in Asia - playing in seamer firendly conditions of Straya and England, and Hadlee did tour Asia with far more success and instrumental in limited NZ success there). There is both a leap and insufficient facts provided. Hadlee bowled 14807 balls in a first innings 86 times. That is 172.17 deliveries per match. Lillee bowled 10208 balls in a first innings 70 times. That is 145.82 deliveries per match. Now the author has noted that Hadlee was NZ's only weapon. That meant it is not Hadlee's fault, with a lower average and a faster SR, and bowling more balls per first innings than LIllee that the next bit occurs. This is down to their team mates, both batting and bowling. Hadlee bowled 7111 balls in the second innings from 70 matches that had a second innings (and some very low chases from 1 run to a 100 runs occur, 6 of the 20 or less totals he was not bowled at all by his captain) for 82.69 (total divided by 86) balls per match average. Lillee bowled 8259 balls in the second innings from 63 matches that had a second innings for a total of 117.99 deliveries per match. What is proven here is that Australia lost by closer margins during Lillee's whole career than NZ did. NZ were more regularly thrashed by an innings, where there was no opportunity for Hadlee to bowl in the second innings, or the second innings lead to defend was significantly smaller on average than Australia. Statitically it would appear likely that Lillee was involved in a better test win ratio than Hadlee. Hadlee has the better SR and bowling average than Lillee, and bowls more first innings deliveries, so the problem lay in NZ's other bowlers and/or its batsmen, or a combination of both. Again, Hadlee has better batting stats than Lillee. So it is not HAdlee's batting viz a viz Lillee that is the problem. Furthermore, Hadlee bowls more deliveries in the first innings, which displays that because he was NZ's only weapon, NZ relied on him to bowl as much as he could. He does do so. So the author is completely wrong, notwithstanding that because Hadlee needs to take most the wickets than Lillee did, the innings lasts longer. This is because the author has set the limit of the reasoning to a direct balls bowled comparison of Lillee and Hadlee. What the author could have used as a metric of comparison, is done a tally that Lillee bowled 18467 balls out of a total possible (and then summed every Australian delivery that was bowled) to give a percentage. The same could then be done for Hadlee. This could be skewed by any medium pacer or spin bowler who could bowl all day. Or even possibly a fast bowler reducing their run up to 15 steps to elongate their career (with a possible bonus benefit of being able to bowl more overs per day). But hey, that is the pitfalls of the author's logic of a direct comparison. On a direct comparison of Lillee and Hadlee, the reasoning is not sound. While Lillee and Hadlee are apples and apples as bowlers (if one forgives Lillee for not touring Pakistan by choice and Hadlee's shorter run up by no means removed him from his position as bowling attack seam spearhead), one of them had oranges for team mates. I am sure Hadlee would have preferred to bowl more second innings deliveries, let alone played in more matches where he took a second innings in the field. But to use Australian team mate superiority to bolster a Lillee v Hadlee comparison, does not hold on indicating possible let alone establishing probable reliance by team mates. The only fair and logical comparison of raw balls bowled is thus the first innings, where Hadlee is clearly in the lead. Issues of resting spearheads for the second innings are largely negated by rest days, less cricket played, and critically is the direct opposite of balls bowled reliance, which the author is trying to prove. Saving a spearhead when about to enforce the follow on has strategic merit, but even if successful in getting the ball out of a spearhead's hands when the tail are in; this is still counter (in some ways if not many) to what the author is trying to prove even if it occurred to Lillee for a significant amount of times. That is - who was relied on more as indicated by who bowled the most balls. Last edited by Paddles on Sun Feb 12, 2017 7:21 am, edited 7 times in total. Oh dear.. that two liners gave away so much information (even if flawed).. that must count as writers skill!! Another thing you are discounting is, not everyone keeps all those stats in mind to actuall gasp at it.. You seem to be one of those rare guys who we see on trivia shows who know how many 3 legged horses napolen had in the year he invaded the then pope. You must send this observation to the author via email and make him weep into his coffee. It would be great to see what he (the author) thinks about it all!! Striped Lungi wrote: Oh dear.. that two liners gave away so much information (even if flawed).. that must count as writers skill!! Unfortunately I am not quite one of those guys*, but I know that test cricket has two innings and understand the rules of test cricket. That is all the author needed to know. Cricinfo gives all the profile stats required and they are easily accessible. The author did some maths with the cricinfo stats, but of matches sum, not first innings, and thereby factored in the second innings discrepancy as part of its proof that Lillee was heavily relied on by Australia as against Hadlee for New Zealand. That is fallacious. Whether it was deliberate sophistry or whether the author is stupid, I do not know. In my opinion, it is stupid either way. *The correct answer is impossible (i.e. not even 0) because Napoleon never invaded the Vatican besides the common theme of putting horses down throughout history with a mere broken leg, as they were typically thought not to function properly with three (but horse prosthetic legs are now a thing).